I have been itching to write something about my childhood memories for a long time. It was only my hesitation after considering the broad range of subjects available for discussion that brought the subject to a halt and filed back in the trash. So, on this fine Sunday morning in the middle of February, with snow falling outside and not a chance of taking any photographs did I decide to resurrect the idea. So here goes, this is what I remember for starters. As a young lad I opted for a paper round at the age of twelve. Doesnt that sound so young. Mr Rawnsley was the Newsagent just over the road from where we lived. We lived in a nice suburb of Bradford called Wrose. Wrose was nestled between Shipley to the North and Eccleshill, Undercliffe to the South East. Mr Rawnsley was great, so when my friend Rob suggested I apply for a paper round all seemed well. Rob did the afternoon round; I often walked home from school with him and even went to help him now and again. This enabled him to finish quicker giving us the opportunity to get on with what we had planned for the late afternoon and evening. Mind you, this was usually hampered by tea time in the Winterbourne household as my parents were always particular about meal times, so skipping them was never an option. We always sat down to eat as a family, usually when Dad came home from work. Just after I applied for the paper round Mr Rawnsley the Newsagent announced that he was leaving but he did have an opening for me on a morning paper round. This was great because being an early riser was built-in to my DNA; I never had an issue with getting out of bed so all was good. I am struggling to remember how much I actually earned but I am sure it was £2.50 a week. It’s funny to think back and work out what you could buy in 1980 for £2.50 but it was quite a lot for a twelve-year-old. My paper round took in a 2 km loop which most days could be completed in 35 minutes. It could be done even quicker by bike but Dad had a habit of parking his car down the drive and right up to the garage therefore restricting the opening of the door and limiting access to my steed. This wasnt too much of an issue when you were on time and had enough minutes left to complete it on foot before school, but when you had planned to go by bike there was a distinct problem. Yep, you were late. Fortunately, it didn’t happen that often. Just after I started Mr Rawnsley sold the shop and Mr and Mrs Godfrey took over, they weren’t from the area, I seem to recall they were from the West Country or somewhere close anyway as they spoke different to us Yorkshire folk. They had a son and a daughter if my memory serves me well, I cannot remember much about the son, except he had a beard but the daughter was quite tidy, big chested and not bad-looking. Unsurprisingly she was often the subject of conversation between the paper boys. Most of the lads were from the same school, Rob, Darren W, Graham, Richard D, Paul Harvey to name but a few. They were great times, the lads who did the paper rounds in the evening delivered the Bradford newspaper, the Telegraph & Argus so it was just a case of remembering which houses to deliver them to..if you had a paper left at the end of the round you had forgotten someone. For me it was different, I was one of the morning paper boys. This was a totally different concept, it was a vast array of newspapers; Daily Mirror, The Sun, Daily Express, Daily Mail, The Telegraph, The Guardian. When I first started you were not only required to remember which houses had papers but which actual paper they required too. This was a totally different entity from helping Rob deliver the evening paper and mistakes were bound to happen. The papers were arranged in the bag by Mr Godfrey in sections, 10 Daily Mail, 15 Daily Express 12 Mirrors… you get the idea. It was then left to me to remember which house got which paper. Oh my god, this wasnt as easy as I thought. When I got to Wednesday I nearly had a heart attack..I went in to the shop picked up my bag and it was as if the bag was fighting back! Had the local community suddenly decided they were so impressed with paper deliveries that all and sundry had ordered a morning paper. No, it wasnt. Godfrey informed me that Wednesday was magazine day. The extra kilo’s were worth it though, there are only so many page three’s you can look at before you go blind. I now had a choice of The Grocer magazine or Shoot for number 18 Kingsway. It was worth it and I very rarely “blobbed” (except when I had Chicken Pox). Going back to the mistakes, if you made a mistake on a morning round you could end up in a pickle. It wasnt good to put a copy of the Sun through old Mr Johnsons door when he was expecting his wifes Womans Own. Occasionally I got to find the error of my ways when I returned to the shop with an empty bag, obviously the distraught customer had got up for his Corn Flakes and seen the wrong paper on the mat and decided to phone Godfrey. But normally I just got to know the following morning. I cannot recall ever having my pay docked though. Weekends were the best. Looking back at the hobbies we had I found it quite comical. I can now see the trend of my choice of friends and I am quite proud of my executive decisions and the decision-making process too. Depending on the “the thing you were in to” this had a major influence on who you hung around with. Rob was probably the most reliable as he was in to everything I was, it also helped that he lived close to me and also did a paper round at the same shop. This meant we were financial equals as we were had the same pay. This made things a lot easier when we used to go to the city centre on a Saturday afternoon as neither one of us could be jealous of the other. The tour around town also depended on what hobby was the flavour of the month but every trip went via Hagenbachs Bakers, end of story. When I first met Rob we were both in to football in a big way. I played for the school team and this often used to steer the way Saturdays panned out. If I was playing for the school the trip to town was put on hold until the afternoon. I was goalkeeper for Swain House Middle School and I loved it. I was a little under confident if I’m truthful and I can always remember my games teacher putting this on my school report. I still loved it, and I managed to get my place in the team every week. My idol was Ray Clemence he was the Liverpool and England goalkeeper, he wore a yellow shirt whilst playing for England and it was a sheer coincidence that the school kit had the very same shirt. It was really small for me, the sleeves revealed half of my forearms but it was my idols shirt so I was going to wear it. You can see a copy of the shirt here . On the back of the football interest we often grabbed a ball and went to play on the local field. It was only 200 yards away and had proper goal posts too. The sound of metal studs clicking on the pavement made me feel really grown up as we walked to the pitch. It always reminded me of my favourite players walking down the tunnel at Anfield. There was plenty of space to play football outside our house but in recent times local driving schools had discovered this was a great place to teach pupils how to do a three-point turn. Trust me when I say this, it’s a lot harder to teach a pupil this manoeuvre when there are three 12-year-old kids kicking a leather-caser across the street. Eventually the learner drivers became a pain and there was a local meeting to discuss the issue as it wasnt just our household that suffered. It used to really annoy my parents as every learners car that pulled up outside the house used to set the dog barking. These days, if your kids came home from playing football on the local pitch and said they had met a bloke called “Jeff” that was about same age as Dad you would be deeply concerned; wouldn’t you? . But that’s exactly what happened. My brother Paul, Rob and I got chatting to Jeff and his sons one day and had a kick about. Over the weeks more and more local lads joined in until we had enough for eleven a side football. There were some good lads that played but the full size pitch was unsuitable and too large so Jeff used to bring some pieces of wood along with him, failing that it was “Jumpers for goalposts”. From my bedroom window I could see the area where Jeff and the lads used to play, this was great as it avoided going out if there was no one knocking around. We had some funny moments down there, Jeff was comical if you upset him…. if he didn’t get his own way he used to pull up the posts and walk home. Me and Rob used to laugh for hours about this. Then, it was funny. When football was out-of-bounds due to the weather and the dark winter months we found another interest. Along the same line, just smaller in scale.. Subbuteo was something that had been around in our family since my dad was very small. He had a complete set up stored away in a box somewhere but it was very dated and the strips that the players wore were so old-fashioned that Stanley Matthews would have been in the line up. I had been introduced to the flick-football game at a very young age. The game of Subbuteo can only be described as table football with a flick of the finger. We took this game to the limit. I organised a league involving some of the lads from school, we played once or twice a week and took it in turns at going to each others homes. We even had an FA Cup which culminated with a final on my birthday in May. We had a great time. 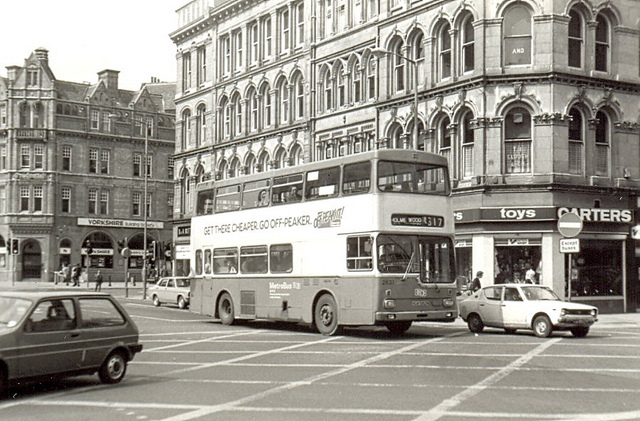 There weren’t many stockists in Bradford that actually had accessories ready to buy over the counter, the only shop was Bradford’s biggest toy shop in that era, Carters. Carter’s was a great shop, sold everything from sportswear to school uniform, from toys to fishing tackle. They even sold maggots for bait. 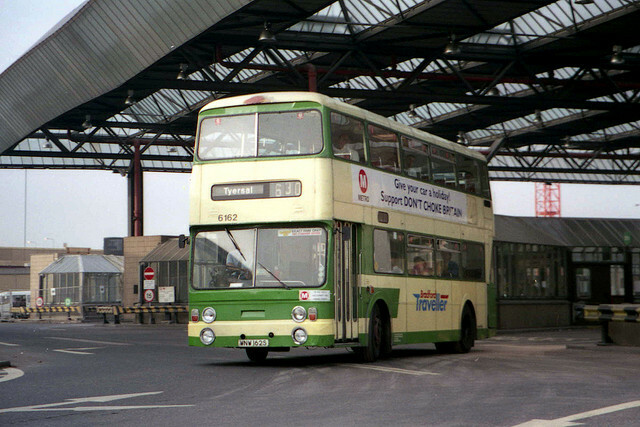 This was the first stop after getting off the bus in Bradford and in past times I must have spent a small fortune here. 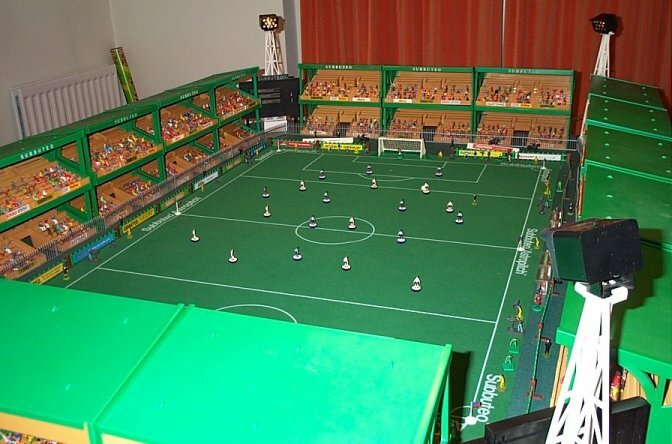 Like everything, the Subbuteo League fizzled out. Homework, Music and girls were the probable replacements with only the latter been a matter of choice. Rob and I then found something different, something a little more grown up. Fishing, or Angling to use its correct term, was something new to me. Rob had done this before and his dad had all the gear. Robs’ dad took us both one evening to a small pond near Thornbury. One of the memories that floods back is how dull and dark the evening was. It made the pond, which was hidden in trees look quiet haunting. I have subsequently found out its called Woodhall Lake. I only had a cheap fishing rod and probably had the wrong tackle but it didn’t matter as we didn’t catch a tiddler. It un-nerved me if the truth be told. The lake was covered in green moss and apart from a couple of small patches you couldn’t see the water. What made it more eerie was the lack of people, no one was around, it was deadly quiet. All was well until Rob’s dad came up with the words “Big Pike” and that was it. I had heard about these fish and only been very young the first thing that sprung to mind was “teeth” and sharp ones at that. I was concerned to say the least. It never happened, as I stated we caught nothing, we never did as that was my one and only visit to Woodhall Lake. Computing was something we had never really heard of back in the early eighties. It’s almost impossible to believe that we thought that computers were something that controlled huge industrial factories that turned out goods by the gazillion. My first year of upper school served me with an introduction to personal computing. My very good friend Peter Rudd (R.I.P) was hooked on them and in a bizarre twist he wasnt allowed to do computer studies at school. Pete was a genius with the personal computer and from the minute I saw his Sinclair ZX81 I was impressed. It was amazing what you could do, play table tennis, chequers and all sorts of silly games that kids these days wouldn’t take second glance at. I remember running home from Pete’s house to place my christmas order with my parents, bearing in mind it was February it was a shot in the dark. By the time I got my ZX81 Pete had upgraded to a Dragon 32. 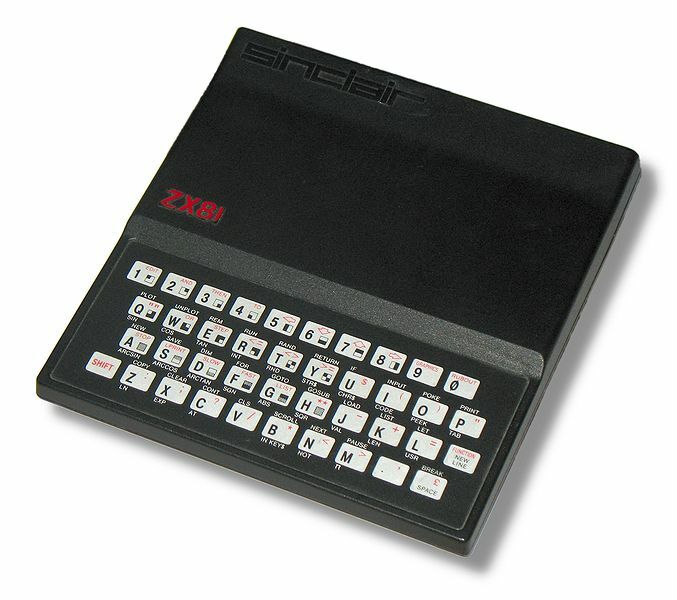 The ZX81 came with 1kb of on-board memory that could officially be extended to 16kb. It was a single circuit board is housed inside a wedge-shaped plastic case measuring 167 millimetres (6.6 in) deep by 40 millimetres (1.6 in) high. The memory is provided by either a single 4118 (1024 bit × 8) or two 2114 (1024 bit × 4) RAM chips. I am staggered when I think about it….1 kilo byte, that is todays equivalent of a single key press on a modern 64-bit PC. But it didn’t matter, they were great…I had a computer in my bedroom and I could play games. Games were loaded from a cassette player connected by a dual line in via the mic and earphone sockets. It was a very temperamental way of doing it but it worked. In later years this introduction to the home computer would stand me in good stead, and looking back I don’t regret sticking my hand up in class and wanting to know more and more about Hexadecimal and programming. Oh and one more thing…..I upgraded too, to an Amstrad CPC-464 which came with a colour monitor and speakers. There were so many things that we got in to; probably too many to go in to great detail about but they were great times that memories are made of. Memories that can never replaced, so on a closing note here some of mine …. Cabanas, Texan Bars, Opal Mints & Pacers, Pantry doors with those dangly coloured strips, hot summers and cold snowy winters. Ben Shaws lemonade and Alpine pop. American Cream Soda in a paper bag from the sweet shop and Shandy Bass. Cider lollies and half penny chews. The Banana Splits and The Double Deckers on a Saturday morning … oh not forgetting Why Dont You. Armchair Thriller and Tales of the Unexpected. Bradford City at the bottom of the Fourth Division and packets of Planet of the Apes collectors cards with a flat strip of bubble gum that smelled of perfume. 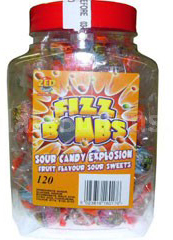 Football Cards & Catapults, Cinder Toffee, Fizz Bombs, Caramac and Spangles to name but a few. 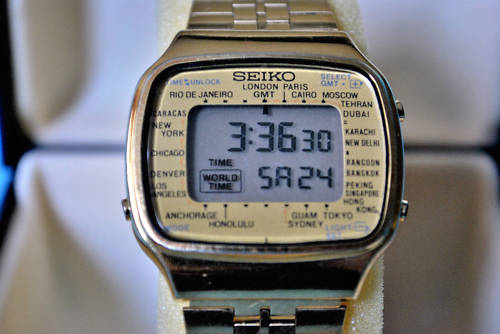 So to close here is a picture to bring back a few more memories for some…..did you have one of these fellas? I did, it had about twenty different alarm sounds … lol, and could tell me the time in Hawaii and New Zealand too. If you fancy a giggle take a look at this video from You-Tube here. I know this has been a long post, so if you got this far, thanks for reading. All comments are welcome and if you spot a mistake then please tell me. Bye for now. It does sound like a sub heading from Narnia doesn’t it? Trust me it’s not. However, that’s the way it has felt for the last week….in the 1950’s. If it hadn’t been for a very kind individual picking up on one of my numerous Facebook statuses regarding this subject then I may well still be in the same position today. Before you think any different, Facebook can be a great networking tool, as well as a bad one too. After the dual monitors started shutting down in to standby whilst using the PC I tried every possible solution, from reinstalling the drivers to unplugging the graphics card, to even replacing the graphics card. Still no joy. Well, that’s not entirely true. I managed to get it working only to inherit another problem… the screens kept jumping and flicking. I knew it wasnt down to the monitors as they were both doing the same thing. It had to be something else. I know enough about PC’s to install hardware, change a disk drive, reinstall Windows. But that’s where it stops. I have dozens of exhumed PC parts scattered across the top of the wardrobe, I just wouldn’t know which to use. The Graphics Card diagnosis was a whole new ball game. So I went ahead and had a go. Low and behold it worked, well in a fashion. The screens need some adjusting and it was quite sluggish. I couldn’t understand what I had NOT done. I kept going through an imaginary check list inside my head, going over everything I should have completed. And that was it, I couldn’t figure out why things weren’t working the way they should. My call to the …ssshhhh f a c e b o o k (it doesn’t sound so bad if you say it quietly) wall was a last resort. One that was answered by a very old friend, Robert. He informed me that he knew a computer literate person that would be able to help me. Just what I needed to hear. Oh, and apparently I knew him too, from years ago. After making contact with Andy there was a whole new perspective on the issue. I had blown everything out of proportion and being prepared to reenact the film with Nicolas Cage in, and say bye-bye PC “Gone in sixty seconds”. Elaine would not have been impressed should I have taken this course of action. So, I only considered it. Andy was very helpful and suggested I remove certain items of PC hardware in what seemed like me taking on the role of a surgeon. Graphics Card re-seated, RAM sticks re-seated and then the long painful job of connecting everything back up again. 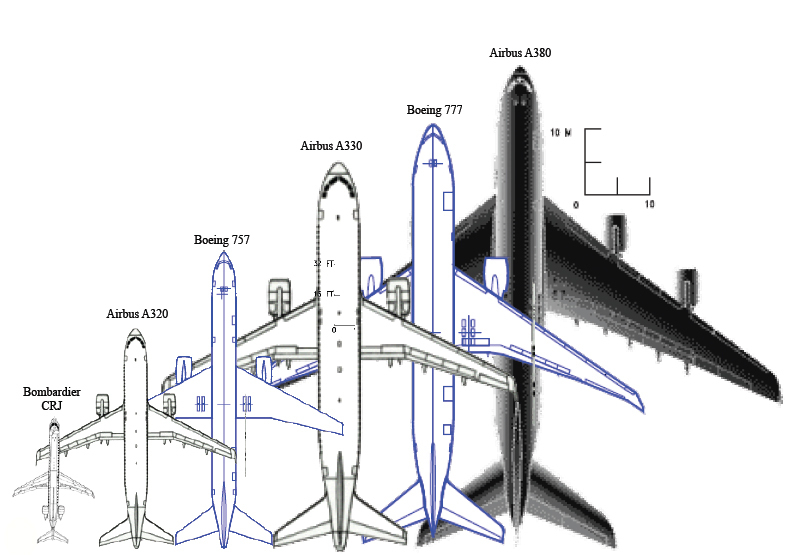 Something is not quite right. Here I am, writing this blog but my PC & I are not singing from the same hymn sheet. Andy has very kindly offered to come around and have a look for me tomorrow. Kind fellow. I would have done all this yesterday, but Monday was a very busy day. Sunday had seen my parents leave Singapore bound for Manchester and being the dutiful son I had offered to pick them up and take them home. So Monday morning at 04:45am my alarm went off and creeping out of bed I headed off to Manchester Airport. My plan had been to get to the airport and go straight round to the Premier Inn near the Freight Terminal and grab a Costa. I was on to a loser from the start as when I arrived it wasnt even open. I wandered inside, used the toilet, checked the flight screens and saw the SQ327 on approach. So much for a relaxing all you can eat breakfast and a cup of the finest Latte. 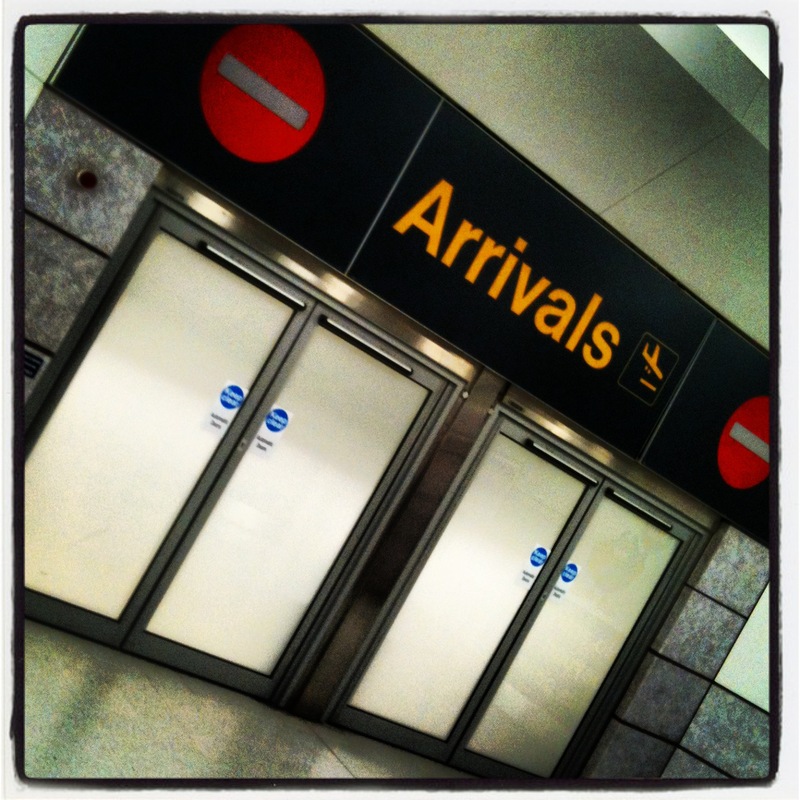 By the time I was parked up in the multi-storey the flight had landed and so I proceeded to the arrivals hall to “Meet the Parents”. I had secretly hoped they would want to go to the Premier Inn for breakfast as they had been in exactly the same position a few years ago after arriving from New Zealand. And it was awesome; There is nothing like a PI Brekkie. I thought that the last experience of doing breakfast would have been fresh in the memory, but all said and done, they looked tired. They were tired and they had just travelled round the world in 23 hours. Instead, I was asked to stop at Lancaster Services on a quick pit stop which would reveal its trump card. Yes, a Costa Coffee. It was great to catch up on what had been happening with my family in New Zealand. One day maybe I will get out there myself. I dropped my parents off in Haverigg and heading back. I eventually got home late afternoon, after 12 hours on the road I was shattered and I don’t know how I managed to stay awake until 11:00 pm. But I did. I knew that I had to tackle the PC issues today, and there it was waiting for me as I came downstairs this morning. Wires everywhere, disk drives removed. It looked like something from War of the Worlds. I looked at it again, almost singing the theme music to the film in my head. If I didn’t fix this, my life was going to be Forever Autumn, let alone Justin Heywards. Like I said earlier, its working….well sort of. We will see what Andy can do with it tomorrow. Hope you have had a great day, I have….byeee.